Because you know you want to! 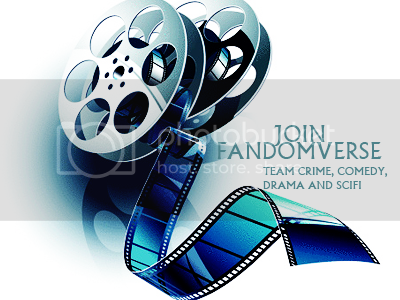 Phase 7 of fandomverse has just started, and we are looking for more members. There are 4 teams: Team Comedy, Team Crime, Team Drama (my team), and Team SciFi. It's so much fun! If you sign up before October 31, mention that I referred you and I get points. Hope to see you there! Phase 7 of fandomverse has begun, but we are looking for more members. There are 4 teams - Team Comedy, Team Crime, Team Drama, and Team SciFi. If you sign up before October 31, please mention that I referred you and I will get points. Could I please claim Ed Zeddemore, Dean Winchester's Tattoo, and Dean Winchester/Derek Reese as my own? I know we're only allowed two claim changes, this will be my first. Object: Ruby's Knife. I asked agt_bush if she'll share with me and she said yes.